Earlier in the day we stopped by Whole Foods needing to buy flounder to supplement the anemic portion we found in the freezer left over from a previous meal. We walked by the produce and saw the yellow beets we had been talking about trying, ever since we tested basic red beet dishes for the book. The tag said “Organic Golden Beets” and they were the color of pale carrots. Curious! So we grabbed a fresh bunch and got the fish. We went with gray sole since it's cheaper than flounder and I can’t really taste the difference after it’s been cooked. As usual we bought stuff we didn’t need, but that’s what Whole Foods is all about! There were these bins of nuts, seeds and grains for designing your own trail mix…YUM! To roast the beets, Laura removed the stems and leaves, wrapped each one in foil and roasted them at 400 degrees for about an hour. Next she tossed 1/3 cup of chopped walnuts with 1 tablespoon of balsamic vinegar. When the beets were soft, she took them out of the oven, removed the foil and let them cool a bit. Then she rubbed off the skins and cut the beets into wedges. Just before plating, she tossed the beet wedges with the vinegar and nuts, and finished them on the plate by drizzling with olive oil and sprinkling with crumbled feta cheese. The fish were thin fillets of flounder and sole, brushed with a mixture of mayonnaise and country Dijon mustard and crusted with finely chopped pecans. The fillets were then sautéed for 2 minutes per side in a hot pan with a bit of olive oil, and they’re done – easy breezy! I must say here, somewhat tongue-in-cheek, that flippin’ is an important skill that not all have mastered. Not long ago we took a cooking class which required browning meat on all sides, and there were a lot of meat plops and spatters of hot oil flying around the pans. I don’t profess to be an expert by any means, but here is my take on flipping a long filet of fish, a burger on the grill, pancakes on Sunday morning, or even crepes. Using the right tool is critical and it’s all in the wrist. For me this is usually a two handed operation – one tool held lightly in my left hand just to hold the target steady and a thin spatula in my right hand that is as round or long as the target (that’s important). While holding the target from sliding away, I slide the spatula under - all the way. Then keeping the down side close to the pan (in other words, keep the spatula very low), turn the spatula and let the target slide (not fall) back on to the pan. The firmer the target the easier it will be. 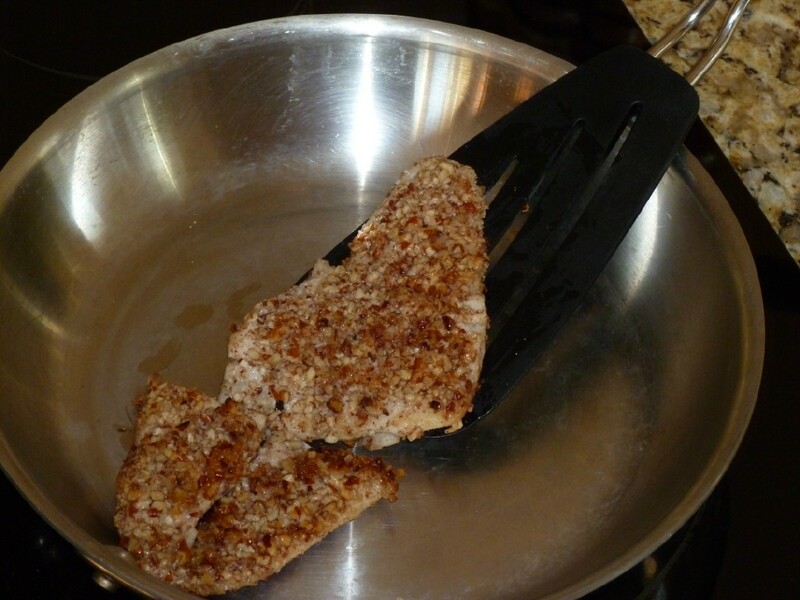 Burgers and thicker fillets are easy as long as the spatula gets completely under the target and is kept low. For pancakes or crepes, first loosen the bottom by shaking the pan back and forth a bit. 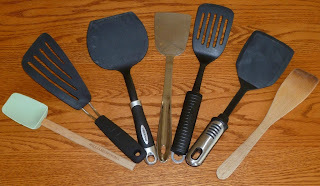 That way you can slide your spatula underneath without tearing up the uncooked batter on top. Once you get really good, you may not even need a spatula, but before you start showing off, please keep in mind that I’ve been flippin’ for over 40 years. There have been many crepes and pancakes that missed the pan on the way down. So good flippin’!